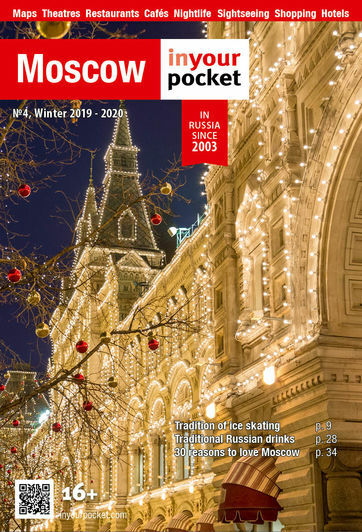 A native of the Republic of Ireland, Tommy O’Callaghan is a journalist at Russia Beyond who now proudly calls Moscow home and enjoys discovering different aspects of the country’s present and past to share it with his readers. - Tell us a little bit about yourself, how you ended up in Moscow and what you do here. - I ended up here as a confused foreign exchange student in 2015. My Russian was dreadful, I had little to no knowledge of the country in its modern shape, and frankly, I was a bit scared. After a while in Moscow, I came to see the city in which I lived as a dynamic, inventive, and ever-transforming place full of bright lights and interesting people. The student life wasn’t enough for me: I felt I had to earn money here to really understand Moscow. So that’s what I did as soon as I graduated uni in Ireland – I upped sticks and worked as an English teacher, eventually finding a better-suited job at Russia Beyond, writing about Russian culture. I like to think that some confused foreigner is out there in Russia reading my articles to try and make sense of the world around them. - The architecture to me is mad. As a bit of a history nerd, Moscow is like a life-sized museum to me: I live in a Stalin-era skyscraper from the 1930’s, and across the street is a group of elegant village-like houses from the 18th and 19th centuries, tied together by a church that looks like it might collapse at any moment. There’s something different on every street; it’s a hobby of mine to wander around and guess who might have lived in these buildings in the past and present. But size-wise, these constructions are like nothing I’ve ever seen before, and they scream opportunity and intrigue at every corner. - You were in Moscow for the 2018 FIFA World Cup. Could you share with us your coolest experience at the event? - The coolest World Cup experience was for sure watching Russia vs Spain from the fan zone. I’ve never seen such an electric atmosphere, everyone was so over the moon about it. The city just erupted into a joyous chaos then. Apart from the main sights that every tourist should see on their first trip to Moscow, which “hidden gems” would you recommend seeing? - Where to begin with this one? - I’d say Stalin’s bunker is worth seeing (albeit a bit of a rip-off for foreigners). But it’s a cool experience seeing Moscow from underground, especially in a historical context. I’d also say it’s worth going to Tsaritsino Park in South Moscow – it’s the grandest example of Imperial Russian architecture in Moscow, and a decent place for a picnic. As for bars, I always tell people to go to Shirokuyu na shirokuyu by Kitai-Gorod; it specialises in shots, and there’s always a great atmosphere, even on a Monday. It’s also worth checking out Burganov House, which is an incredible outdoor sculpture museum. - The leaves have almost all fallen and winter will be arriving soon. What are some of your favorite things to do in Moscow during late autumn period? - I feel like autumn is the most authentic Moscow season – it’s usually kind of grey around then, but it suits the city’s grandeur so well, and gives it an exotically sinister vibe. That makes it the perfect time for some Soviet tourism: I’m talking VDNKh (Stalin’s mega-park in north Moscow), Gorky Park, Sparrow Hills and the Moscow State University main building, and of course, Victory Park. If the weather’s bad, I also like to go to Danilovsky Market and gaze in wonder at the spectacular array of fruits, vegetables, and world cuisines. It’s a display of colour like no other. - If someone wants to do a little trip outside of Moscow, where would you recommend going this time of year? - It’s not exactly a tourist hotspot, but I once went to the town of Torzhok (about 4 hours away by train) and absolutely loved it. Most of the city was built in Tsarist times, and it looks like not much has changed since then. If you really want to step back in time, this is the spot. If you want somewhere closer, I’d recommend the town of Istra, about an hour away by train. The New Jerusalem monastery there is the most spectacular religious construction I think I’ve ever seen. - Just come prepared for a big city experience, and let it guide you. There’s so much history and so many interesting places here, that you’ll inevitably find your own little area you love. But it’s fast-paced and active; to really feel it, you’ve got to go out and try to meet some locals. Aside from that: DOWNLOAD THE YANDEX TAXI APP. It’s a lifesaver. Don’t get in a taxi you didn’t order on an app, as they will rip you off.